1-You like your brother have become a caged parrot – when you referred to Modi ji’s 56-inches chest. You mentioned that we do not need a 56-inches chest but a good heart etc to run the country. Are you certain that your own heart is in place? Are you aware that beauty is only skin deep and that is not what makes a good politician. Are you aware that a 56-inches chest can hold a heart that is selfless and has concern and empathy? Take your example. What is the hall mark of your concern for the poor? Your interest is in prime property & fancy cars – you can even afford to break down a new house if it does not suit your tastes. You, your mother and brother have hearts filled with greed and hypocrisy – within chests smaller or bigger. Your heart is stifled with pride and filled with selfishness. How can one whose interest is luxury goods & foreign locales understand the suffering of the poor? What sort of a heart is it that is so filthy rich because of a family name, and yet puts on an air of concern and sympathy for the unemployed come election time? Is that not hypocrisy? Weren’t you by the side of your husband Robert Vadra when he indulged in those shady land deals, or by the side of your mother and brother when they were usurping property worth Rs. 5000 crore using party funds? Were they not cheating the poor of their land, and betraying the trust of ordinary citizens? You stood by them then, and continue to do so today. What does your heart hold? 2. You decried how Modi ji wants to be in power – that Modi misused institutions. Tell me honestly (if you have an iota of honesty), what is it that you, your mother and your brother want? Isn’t it a naked thirst for Power, albeit couched in flowery language. Your brother had dramatically proclaimed six years ago that power is poison. Now he is anxious to drink it – because your family is desperate to regain power. Towards this you have encouraged crony capitalism, abetted all the looters and the fraudsters who made payoffs to your family. Hence, now you, your mother and brother are anxious and hell bent on regaining power by hook or crook – to hide the amassed loot and to continue the looting of the poor. Look what is unfolding regarding the Augusta Westland chopper scam. What about the fraud land deals of your husband Robert Vadra? So do not pretend that you are innocent – that you came to save the nation and speak for the distressed. Your family is the main cause of all the distress. You are very much part of the whole sham and the fraud. You accused Modi of misusing institutions. What a travesty of truth. 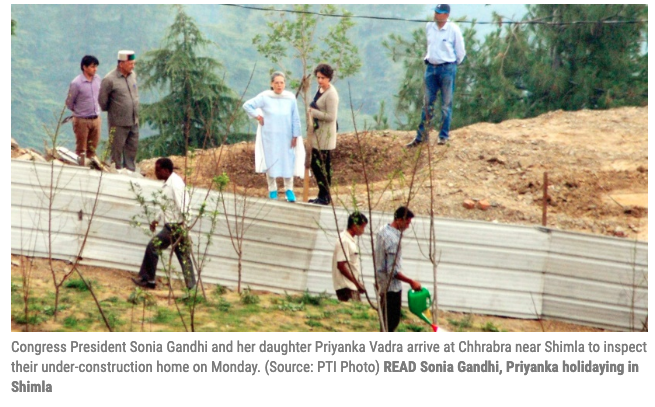 What did your mother – Mrs Sonia Maino Gandhi do? She set up an NAC and became the chairperson – drafting and overseeing what had to go to the PM. Thereby, she demeaned Parliament and the PM’s office – made both superfluous and misused her role as the chairperson of the NAC. The Congress to which you belong has been known for misusing all constitutional institutions – be it the CBI, ED, NIA, and even playing politics with the judiciary and Army. Its chief misuse was Parliament when it made and unmade governments. Your party formed the shouting brigade and blocked the working of Parliament. It even bought votes – with bags of money by Buta Singh and Amar Singh in Parliament, but we the citizens could do nothing because what transpires in Parliament cannot be taken to court. Your party blackened the name of VP Singh and George Fernandes in Parliament. Later they were cleared of all charges. Your father even used the floor of Parliament to insult leaders like polio-afflicted Jaipal Reddy in the most inhuman manner by saying that “he doesn’t have a leg to stand on”. So please do not resort to baseless allegations against Modi for misusing constitutional institutions. Is it because the ED is grilling your husband that you say this? If the ED, IT and CBI do their job, can it be said that Modi is misusing them? Does it mean that all fraudsters and scamsters should not be investigated? Your grandmother even suspended the Constitution. Remember, Pakistan has charged Musharraf a traitor for suspending the Constitution of Pakistan. Indira Gandhi also called for a ‘committed’ judiciary and misused it towards her political goals. Your brother Raul Vince tore an Ordinance passed by the Cabinet when he was only an MP – didn’t he misuse his position and dent the authority of the Cabinet? Your mother, by continuing to live in No. 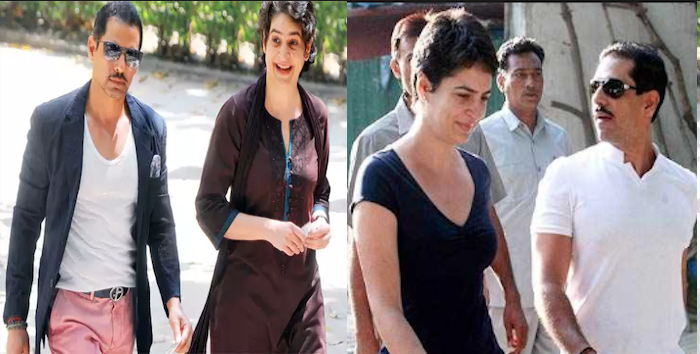 10 Janpath, has misused her status as the wife of a former PM. You yourself refused to pay bare minimum rent charged for your lavish Lutyens’ bungalow, making an absurd claim that it was “beyond your capacity to pay the high amount”. What you meant by this jibe is that Modi ji is an outsider to UP. If your brother is a true son of UP, do not forget that he is also half an Italian. 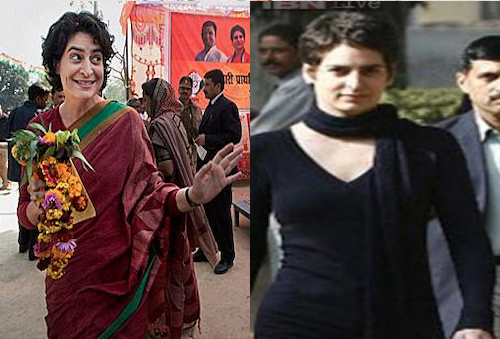 Your mother is Italian born – does Bharat need her when Bharat Mata has lakhs of true daughters of her own? Why should an Italian daughter who hates the natives of this country make any claim at all? Your perceptions are divisive. It has always been so – your party has divided the people on the basis of caste and creed and regions. The same can be said of you. So do not go on river-Ganga cruise thinking that people will swallow all your untruths. Remember that Ma Ganga will not tolerate lies and frauds and deception. Using her as a communication means to disseminate falsehood and hypocrisy is against Dharma. Raul Vince thought that he is very smart to repeat his pet jibes against Modi ji. But it has backfired. People look down on those who resort to insulting the Constitutional post of the PM. People expect minimum decency and courtesy. Nobody appreciates the jibes against the Prime Minster. They only reveal a very cheap mentality. They expose a low-level character and a stunted intellectual growth. Now the latest is ‘Chowkidar chor hai’ (the guard is a thief). And you want to repeat and reinforce the same when you cited that only the rich need chowkidars, not the farmers. Are you totally ignorant – who says farmers don’t need chowkidars & police? Or maybe this is a Freudian slip about your family’s governance model – let people fend for themselves. You are right when you say that the rich definitely need chowkidars. You, your mother, Mrs. Sonia Maino Gandhi, and your brother belong to this category of the rich, nay the filthy rich. Hence you all need many-many chowkidars. 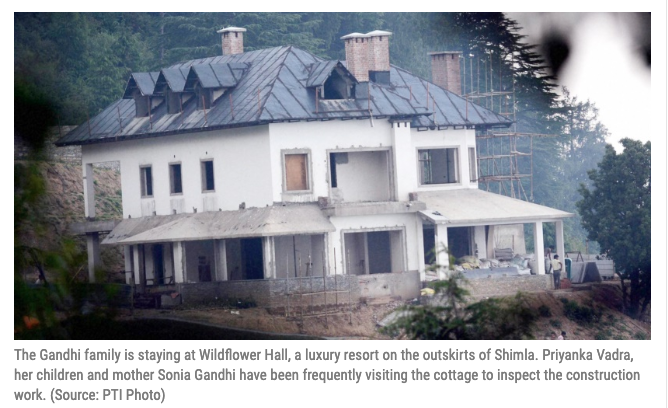 Was it is not on the basis of security that a MP’s bungalow was allotted to you and your family – the Vadras? But why this taxpayer-funded lavish lifestyle for you, your Scot mother-in-law and your family in the name of security? 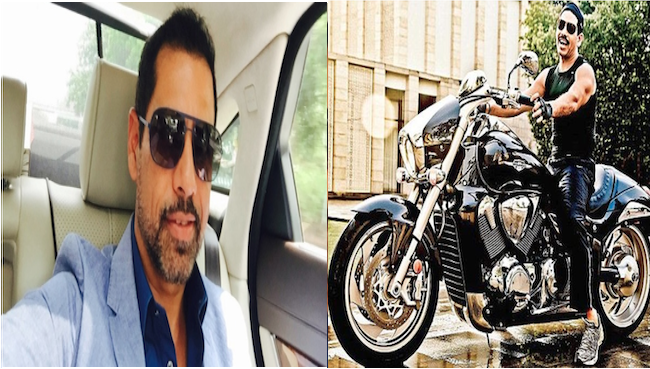 Can your husband Robert Vadra, who once famously mocked ordinary Indians with his “Mango people in banana republic” jibe, not provide his mother and his family private security? When your mother-in-law’s security was withdrawn, there was a hue and cry from the family. Are you not ashamed to fleece the money of the poor for your lifestyle? Remember that during your mother’s de-facto regime as the PM, scams rained- Nirav Modi, his uncle Mehul Choksi, and Vijaya Mallya et. al were looting the banks – the UPA and the then puppet PM abetted this. They were wining and dining. It is only when the Chowkidar Modi appeared on the scene, they took to their heels – became fugitives. And you be sure that Chowkidar Modi will not let Bharat’s poor to be looted any more – that is why the people know that the nation under Chowkidar Modi is and will be safe. But he gives the jitters to those who are frauds and who have cheated the nation. The scamsters are anxious and hell bent on making him lose so that they could escape and enjoy their loot. ‘Defeat Modi’ under the name of ‘save democracy’ was triggered. How can parties which believe in dynasties save democracy? Your party makes all sorts of promises, like women reservation, health care Act, minimum basic income. Why were these not done when for 57 long years the Congress was in power? Now it is indulging in deceptions and gimmicks to keep Modi out. All this reveals only a hatred for Modi, nothing positive. Past experience will vouch that the Congress under your family had no real reform – it did not uplift the poor and only divided the people and ushered in casteism and communalism. The one non-dynasty Congress PM who had a major role to play in the country’s progress, was hated by your mother to such an extent that she didn’t even allow the poor man’s dead body to be kept in the party office or cremated in Delhi. The maximum distress deaths of farmers were when the UPA was in power. Terrorist attacks only elicited hollow promises, ‘We will not bend our knees to terrorism’. You know Chowkidar Modi is a threat to all cheaters, including your husband, and to all those who sinned against the poor. Beware, as the people are with Chowkidar Modi. You along with the whole family are frauds and deceivers – hence the ‘Gandhi’ tag appended to your name to bask in the reflected glory of Mahatma Gandhi. You are a great deceiver. Hence in name and attire you try to deceive the people. Why don’t you be what you are? What is the need for you to change your customary dress and drape a saree, apply tilak and pretend that you are a devout Hindu? You think you can mislead people by this fancy dress and outward exhibits? I thought you had studied psychology and hence you will not resort to such deception because it does not work. From your name, to your appearance, you tried to project what you are not – thus, you have miserably cheated yourself. That is a shame. By the way, why did you quickly drop the surname of Vadra which you are – why does your whole family desperately want to cling on to the ‘Gandhi’ name which you are not? You and your family are not Gandhis. Hence you are fake Gandhis. Is that not a psychological aberration, to pretend to be what you are not and to pass off with a name which is not yours. Not able to be what you are – not able to even stand by your real names. Your mother is a great puppeteer, that is why she was able to make the former PM Manmohan Singh a puppet. She enacted the drama of ‘renunciation’ to deceive the people that she is not hungry for power. But then became the de-facto PM of this country – exercising power without accountability. Why don’t you credit people with some intelligence and stop this sham of a projection. Why are you afraid to be what you are, and not resort to masks and pretences? You have a long way to go. Be what you are – do not try to imitate and turn out to be a caged parrot. This country has given you and your family much. The nation has suffered from the betrayal & apathy of the Congress and its leaders. Remember, entering politics for selfish interests will not take you anywhere. Do not make it a family business. That is a negation of democracy. What you do not have, you cannot give. So forget all the false promises. Above all, stop betraying the poor and stop patronizing them and taking them for a ride. This is a New India – watch your step. The patience of the people is running out. Dr. Hilda Raja was a PG level professor at Stella Maris College, Chennai. Post retirement, she worked with many NGOs and as a Development Consultant. She was nominated on the Advisory Committe of the CBCI (Catholic Bishops Conference of India ) for three years. Having studied throughout in Minority Institutions and reared in a Christian ethos, she is fully convinced that the Hindu soul is secular and Hindu Dharma is totally misunderstood by other religions. For her, Bharat and all that it holds is sacred. Rahul Gandhi Zones Out When Asked to Describe His Kailash Mansarovar Yatra – Is this Man Fit for Office?